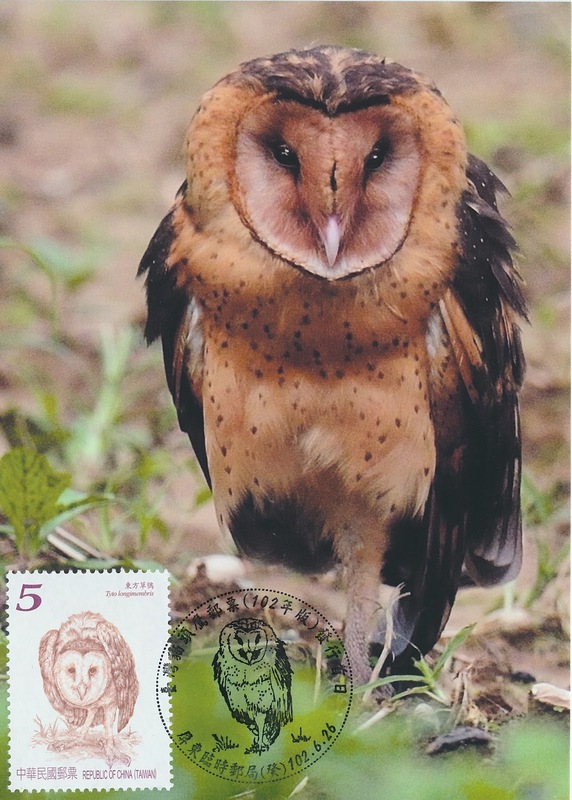 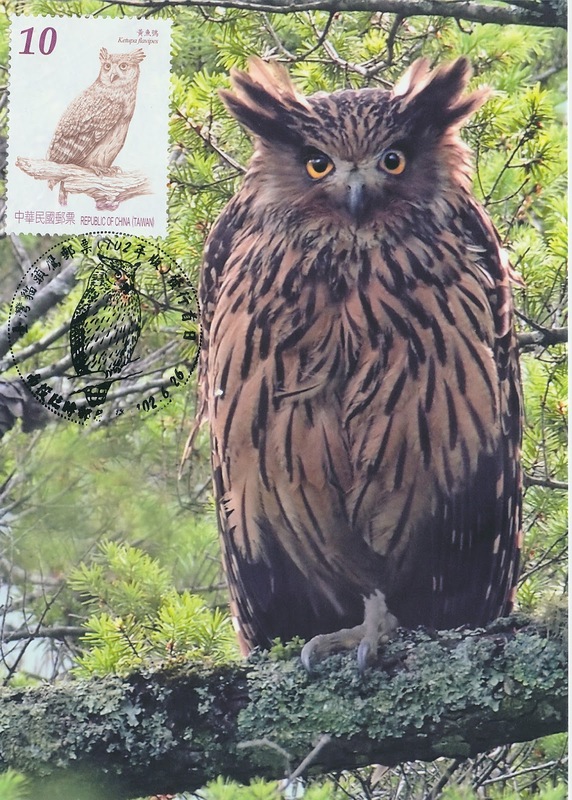 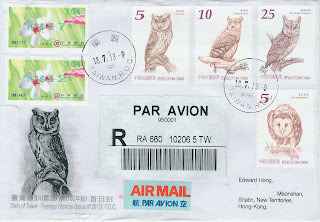 After releasing “Owls of Taiwan” stamp sets in 2011 and 2012, Taiwan is following up with last set of four stamps in 2013 featuring 4 owls, 12 owls have been shown while 13 owls was discovered in whole islands. 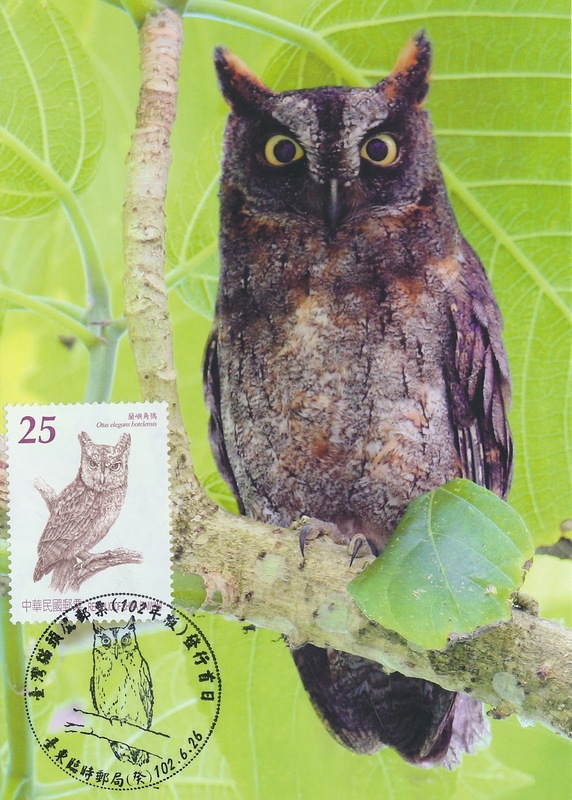 Specially with Ryukyu Scops Owl, it only to be found on Orchid Island, which is off the East Coast of Taiwan proper. It has a brown facial disc and ear tufts. 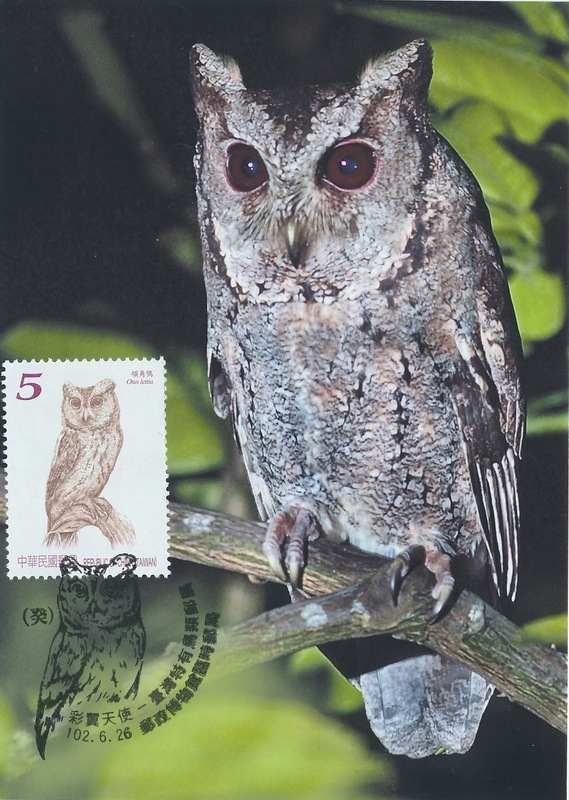 Its head and upper body feathers are brown with dark brown and tan stripes. 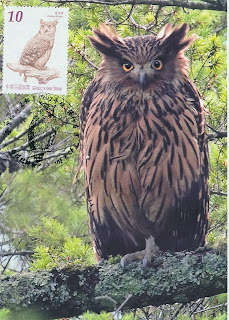 Its breast and belly feathers are tawny. 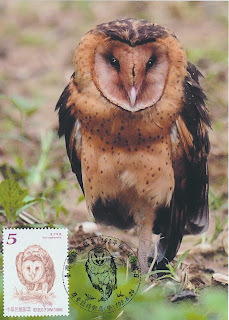 It lives mainly in forests.